Anyone that spends any amount of time online knows that it isn't difficult to come across negativity. In my three years of being a network marketer, I have experienced it many times and even have my very own stalker (no, I am not happy about that). - Find the courage to ask questions and to express what you really want. Communicate with others as clearly as you can to avoid misunderstandings, sadness, and drama. With just this one thing, you can completely transform your life. 4) Always do your best! 97 % of Americans send texts at least once a day. 8.3 trillion text messages were sent last year alone. On average, text messages are read in under five seconds. If those statistics don't show you the power of becoming a text marketing specialist, then check out this video too! Many things are not equal, but we all get the same 24 hours a day, 7 days a week. We make time for what we truly want. If you want anything bad enough it can be yours. It starts with believing in yourself. This week has been incredible for me! I have learned so many amazing things from so many incredible different people from all over the world. It is amazing speaking to people who inspire me to further myself and to grow in my business. The key to creating your social media marketing plan is to remember that it’s not just about posting content everywhere. Instead, be strategic on how you use your social media accounts. Remember, social media is rented space. You can’t guarantee you will always have visibility on your social media accounts. Like we have seen recently, many people are leaving Facebook to dive into Instagram which is the hottest platform today and since there are fewer ads on the platform and it is easier to get visibility for your services and products. The most important thing about social media, though, is to remember you are building relationships with your target market. The key is to build relationships on social media and then invite these leads to join your email list.If you don’t have an email list yet, start one today. You can easily start a free email list with Aweber. A few years ago, I actively promoted Motor Club of America. Although I have moved on to bigger and better things, I still stay with this company. Why? 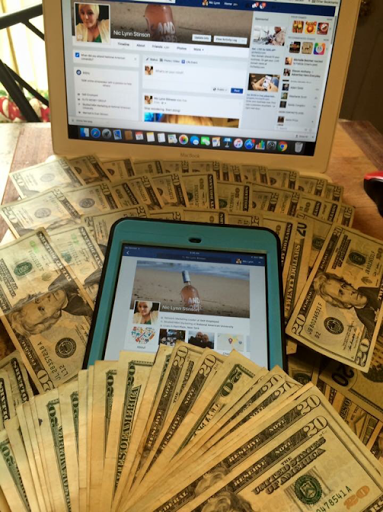 I have trained a very successful team and each week I still get a residual deposit because they make so many sales. The key to success in any company starts with the basics. Get yourself organized! Below is a video where I talked briefly about organizing an MCA business. It is simple and effective and can be applied to any business. Want to learn more about MCA? I hear it all the time. "My sponsor didn't make me successful." or "That is a scam because I didn't make any money." These statements are generally FAR from the truth and are the result of not going through training. I have developed six-figure training that can make even the NEWEST NEWBIE successful with a home-based business.